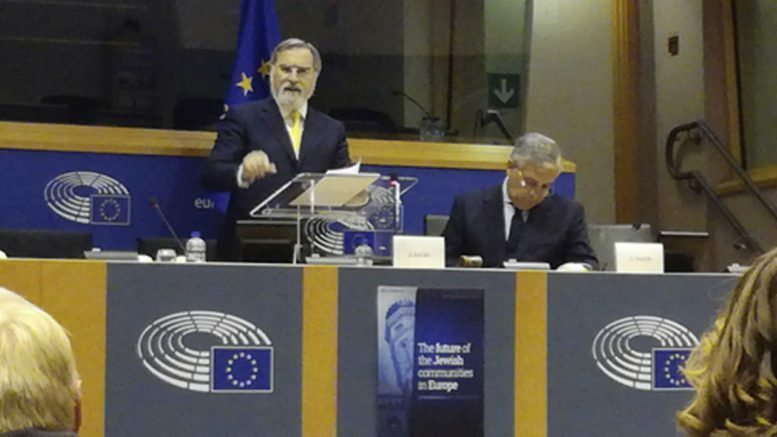 Watch and read the speech given by Rabbi Lord Jonathan Sacks at the European Parliament on 27 Sept 2016 at a conference entitled “The Future of the Jewish communities in Europe”. The hate that begins with Jews never ends with Jews. That is what I want us to understand today. It wasn’t Jews alone who suffered under Hitler. It wasn’t Jews alone who suffered under Stalin. It isn’t Jews alone who suffer under ISIS or al- Qaeda or Islamic Jihad. We make a great mistake if we think anti-Semitism is a threat only to Jews. It is a threat, first and foremost, to Europe and to the freedoms it took centuries to achieve. Anti-Semitism is not about Jews. It is about anti-Semites. It is about people who cannot accept responsibility for their own failures and have instead to blame someone else. Historically, if you were a Christian at the time of the Crusades, or a German after the First World War, and saw that the world hadn’t turned out the way you believed it would, you blamed the Jews. That is what is happening today. And I cannot begin to say how dangerous it is. Not just to Jews but to everyone who values freedom, compassion and humanity. The appearance of anti-Semitism in a culture is the first symptom of a disease, the early warning sign of collective breakdown. If Europe allows anti-Semitism to flourish, that will be the beginning of the end of Europe. And what I want to do in these brief remarks is simply to analyze a phenomenon full of vagueness and ambiguity, because we need precision and understanding to know what anti-Semitism is, why it happens, why anti-Semites are convinced that they are not anti-Semitic. First let me define anti-Semitism. Not liking Jews is not anti-Semitism. We all have people we don’t like. That’s OK; that’s human; it isn’t dangerous. Second, criticizing Israel is not anti-Semitism. I was recently talking to some schoolchildren and they asked me: is criticizing Israel anti-Semitism? I said No and I explained the difference. I asked them: Do you believe you have a right to criticize the British government? They all put up their hands. Then I asked: Which of you believes that Britain has no right to exist? No one put up their hands. Now you know the difference, I said, and they all did. Anti-Semitism means denying the right of Jews to exist collectively as Jews with the same rights as everyone else. It takes different forms in different ages. In the Middle Ages, Jews were hated because of their religion. In the nineteenth and early twentieth century they were hated because of their race. Today they are hated because of their nation state, the State of Israel. It takes different forms but it remains the same thing: the view that Jews have no right to exist as free and equal human beings. If there is one thing I and my contemporaries did not expect, it was that anti-Semitism would reappear in Europe within living memory of the Holocaust. The reason we did not expect it was that Europe had undertaken the greatest collective effort in all of history to ensure that the virus of anti-Semitism would never again infect the body politic. It was a magnificent effort of antiracist legislation, Holocaust education and interfaith dialogue. Yet anti-Semitism has returned despite everything. Do you stay in a country where your children need armed protection at school? How did this happen? It happened the way viruses always defeat the human immune system, namely, by mutating. The new anti-Semitism is different from the old anti-Semitism, in three ways. I’ve already mentioned one. Once Jews were hated because of their religion. Then they were hated because of their race. Now they are hated because of their nation state. The second difference is that the epicenter of the old anti-Semitism was Europe. Today it’s the Middle East and it is communicated globally by the new electronic media. The third is particularly disturbing. Let me explain. It is easy to hate, but difficult publicly to justify hate. Throughout history, when people have sought to justify anti-Semitism, they have done so by recourse to the highest source of authority available within the culture. In the Middle Ages, it was religion. So we had religious anti-Judaism. In post-Enlightenment Europe, it was science. So we had the twin foundations of Nazi ideology, Social Darwinism and the so-called Scientific Study of Race. Today the highest source of authority worldwide is human rights. That is why Israel — the only fully functioning democracy in the Middle East with a free press and independent judiciary — is regularly accused of the five cardinal sins against human rights: racism, apartheid, crimes against humanity, ethnic cleansing and attempted genocide. The new anti-Semitism has mutated so that any practitioner of it can deny that he or she is an anti-Semite. After all, they’ll say, I’m not a racist. I have no problem with Jews or Judaism. I only have a problem with the State of Israel. Anti-Semitism means denying the right of Jews to exist as Jews with the same rights as everyone else. The form this takes today is anti-Zionism. Of course, there is a difference between Zionism and Judaism, and between Jews and Israelis, but this difference does not exist for the new anti-Semites themselves. It was Jews not Israelis who were murdered in terrorist attacks in Toulouse, Paris, Brussels and Copenhagen. Anti-Zionism is the anti-Semitism of our time. In the Middle Ages Jews were accused of poisoning wells, spreading the plague, and killing Christian children to use their blood. In Nazi Germany they were accused of controlling both capitalist America and communist Russia. Today they are accused of running ISIS as well as America. All the old myths have been recycled, from the Blood Libel to the Protocols of the Elders of Zion. The cartoons that flood the Middle East are clones of those published in Der Stürmer one of the primary vehicles of Nazi propaganda between 1923 and 1945. The ultimate weapon of the new anti-Semitism is dazzling in its simplicity. It goes like this. The Holocaust must never happen again. But Israelis are the new Nazis; the Palestinians are the new Jews; all Jews are Zionists. Therefore the real anti-Semites of our time are none other than the Jews themselves. And these are not marginal views. They are widespread throughout the Muslim world, including communities in Europe, and they are slowly infecting the far left, the far right, academic circles, unions, and even some churches. Having cured itself of the virus of anti-Semitism, Europe is being reinfected by parts of the world that never went through the self-reckoning that Europe undertook once the facts of the Holocaust became known. If it asks: “What did we do wrong?” it has begun the self-criticism essential to a free society. If it asks: “Who did this to us?” it has defined itself as a victim. It will then seek a scapegoat to blame for all its problems. Classically this has been the Jews. Anti-Semitism is a form of cognitive failure, and it happens when groups feel that their world is spinning out of control. It began in the Middle Ages, when Christians saw that Islam had defeated them in places they regarded as their own, especially Jerusalem. That was when, in 1096, on their way to the Holy Land, the Crusaders stopped first to massacre Jewish communities in Northern Europe. It was born in the Middle East in the 1920s with the collapse of the Ottoman Empire. Anti-Semitism re-emerged in Europe in the 1870s during a period of economic recession and resurgent nationalism. And it is re-appearing in Europe now for the same reasons: recession, nationalism, and a backlash against immigrants and other minorities. Anti-Semitism happens when the politics of hope gives way to the politics of fear, which quickly becomes the politics of hate. So I end where I began. The hate that begins with Jews never ends with Jews. Anti-Semitism is only secondarily about Jews. Primarily it is about the failure of groups to accept responsibility for their own failures, and to build their own future by their own endeavors. No society that has fostered anti-Semitism has ever sustained liberty or human rights or religious freedom. Every society driven by hate begins by seeking to destroy its enemies, but ends by destroying itself. Europe today is not fundamentally anti-Semitic. But it has allowed anti-Semitism to enter via the new electronic media. It has failed to recognize that the new anti-Semitism is different from the old. We are not today back in the 1930s. But we are coming close to 1879, when Wilhelm Marr founded the League of Anti-Semites in Germany; to 1886 when Édouard Drumont published La France Juive; and 1897 when Karl Lueger became Mayor of Vienna. These were key moments in the spread of anti-Semitism, and all we have to do today is to remember that what was said then about Jews is being said today about the Jewish state. 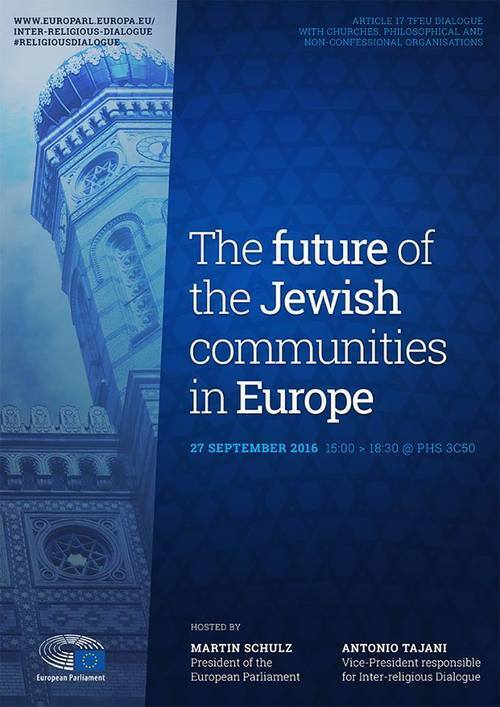 – This speech was given at the European Parliament at a conference entitled “The Future of the Jewish communities in Europe” on 27 Sept 2016. This transcript was originally posted on his website and headings taken from the reprint at World Jewish Congress. 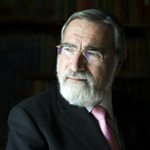 An international religious leader, philosopher, award-winning author and respected moral voice, Rabbi Lord Jonathan Sacks was recently named the winner of the 2016 Templeton Prize in recognition of his “exceptional contributions to affirming life’s spiritual dimension.” He served as British chief rabbi from 1991 to 2013.